There are two significant worries for the West with regard to the future of Libya in the wake of its revolution. 1. What form will the new regime take? Will it be dominated by Islamists, especially the Muslim Brotherhood? We already have indications that the new Libyan constitution will be based on Sharia, which is a bad first step from a Western perspective, since Sharia commands of its adherents that they either wage or support violent Jihad to make allah’s religion supreme on earth. A regime dominated by Islamists such as the Muslim Brotherhood will be inherently hostile toward the West, despite what the Left in the West may wish to believe. 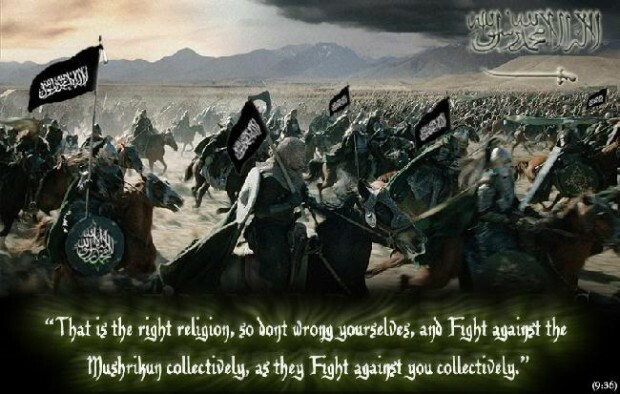 Need we remind anyone of the Muslim Brotherhood’s motto? 2. Just as worrisome as the Islamist and Jihadist tendencies of the new regime are the disposition of the numerous weapons spread all around Libya–everything from small arms and Rocket Propelled Grenades (RPGs) to advanced, Russian-made MANPADS (Man Portable Air Defense Systems), also known as shoulder-fired surface to air missiles. 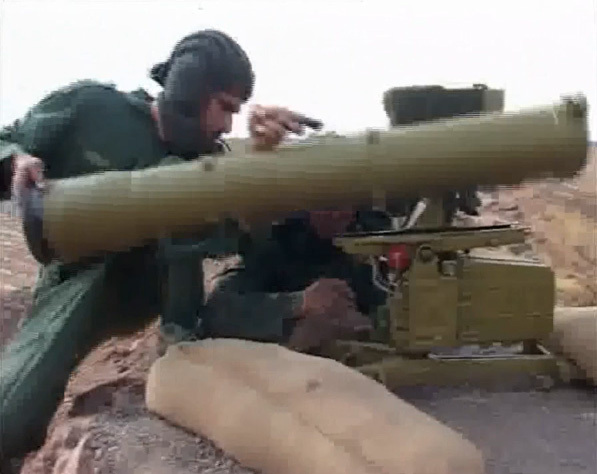 Up to this point, it has generally been assumed that Jihadist terrorists have been armed with the SA-7 Grail MANPAD. 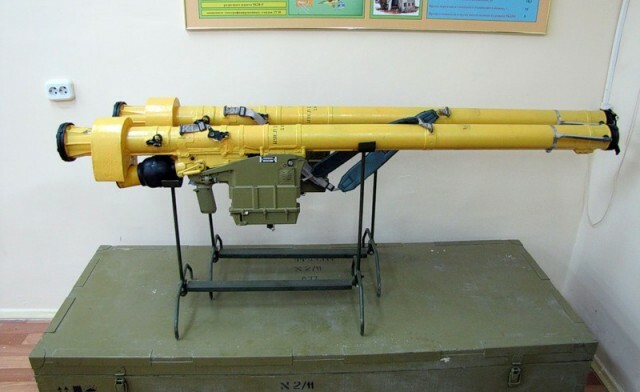 While the SA-7 can be deadly, it is considered a first generation MANPAD that can be effectively neutralized with various countermeasures. We don’t see or hear of many instances these days in which the SA-7 has downed any aircraft. Unfortunately, it appears that the Libyans had plentiful stocks of the much more advanced SA-24 Grinch. The SA-24 in the hands of Jihadist terrorists and insurgents would pose a much greater threat to both civilian airliners and military helicopters. Given the make-up of the new regime in Libya, not to mention the chaos there over the past several months, there is a very real possibility, if not a probability, that Libyan SA-24s will end up in the hands of organizations such as Al Qaeda, Hamas and the Taliban. 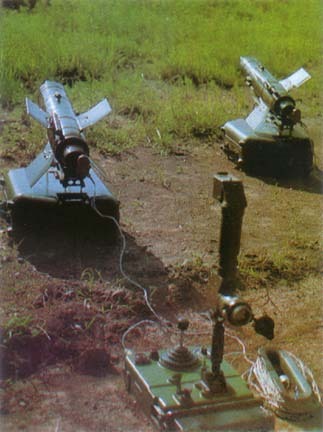 SA-24s in the hands of Al Qaeda, Hamas, the Taliban and others represents a exponential increase in the lethality and capability of those groups to inflict casualties on American, NATO, Israeli and other allied militaries, not to mention the ominous scenario in which the SA-24 could be used to attack civilian airliners. Unfortunately, many on the Left in the West seem to be completely in denial about the National Transition Council (NTC), assuming that the NTC will safeguard all of these weapons and not allow them to fall in the hands of Jihadists. But with so many Jihadists making up the NTC, including its leadership, that wishful thinking is likely to get some innocent people killed. Nor are MANPADS the only weapons that we need to worry about. Among the weapons stockpiled in and around Libya are various types of anti-tank weapons. We’re not talking about run-of-the-mill RPGs here, we’re talking about ATGWs (Anti-Tank Guided Weapons). Among the weapons thought to be in the Libyan inventory prior to the revolution were AT-3 Saggers, AT-4 Spigots and AT-5 Spandrels. These weapons are light years ahead of the RPG in terms of armor penetration, accuracy and range. 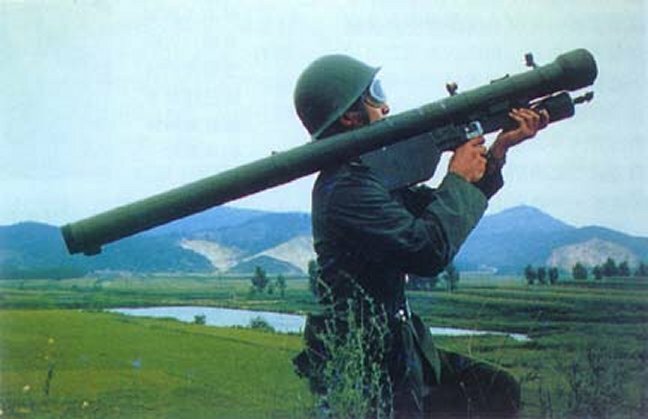 The AT-3 is a 1970s-era, wire-guided weapon. While this missile is unlikely to be able to penetrate the frontal armor on the M-1A2 Abrams main battle tank, it is a major threat to armored personnel carriers and infantry fighting vehicles and, whereas the RPG has a maximum range of around 300 meters, the AT-3 has an effective range of between 1000 and 3000 meters. Libyan “rebels” have in fact been observed using AT-3s in the past few months. The AT-4 Spigot was originally designed as the replacement for the AT-3 in Soviet service and it has several improvements over the AT-3 including a closer-range engagement capability of just 70 meters, higher flight speed and improved accuracy and armor penetration. It’s maximum effective range is 2,000 meters. The AT-5 Spandrel is roughly equivalent to the US TOW ATGW and mainly launched from armored vehicles, although it can also be deployed as a man-portable system. It has a greater armor penetrating capability than the AT-3 and AT-4 and has a range of between 70 and 4,000 meters. Iranian-manufactured copies of the AT-5 were reportedly used with good effect by Hezbollah against Israeli forces in 2006. Finally, none of this addresses the even more worrisome issue of stocks of radiological material and chemical agents in Libya. There are thought to be Libyan stocks of material suitable for making “dirty” bombs, something that has been a nightmare scenario on the minds of Western security organizations for years. These stocks include uranium yellowcake. Libya’s chemical agents are believed to mostly be made up of mustard gas. It’s Sarin nerve agents were reportedly never fully completed. The condition of the mustard agents is unknown and mustard gas is in fact bulky and perishable, so we can all “hope” that no Libyan mustard gas falls into sinister, hostile hands. But, as we all know, “hope” is not a policy.